 EXPERIENCE LIFE IN CANTON APPENZELL - hauslydias Webseite! 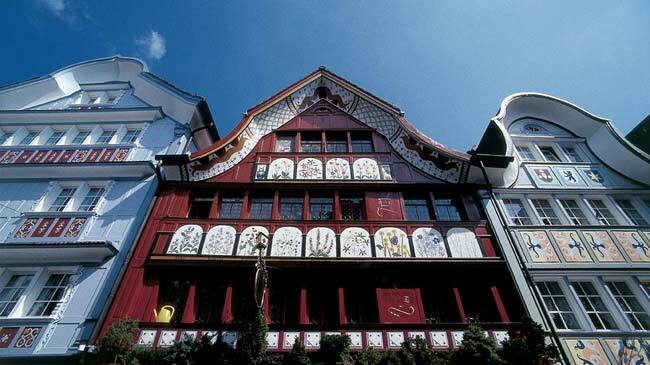 Canton Appenzell has something to offer lovers of art and history. 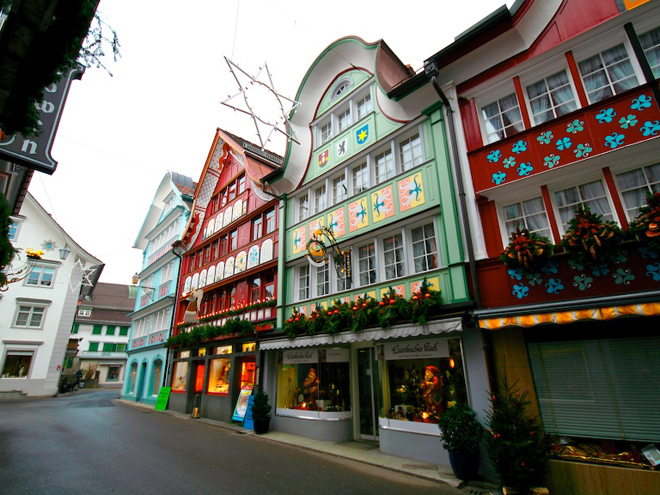 Of course, you shouldn't miss visiting the village of Appenzell's picturesque main street. 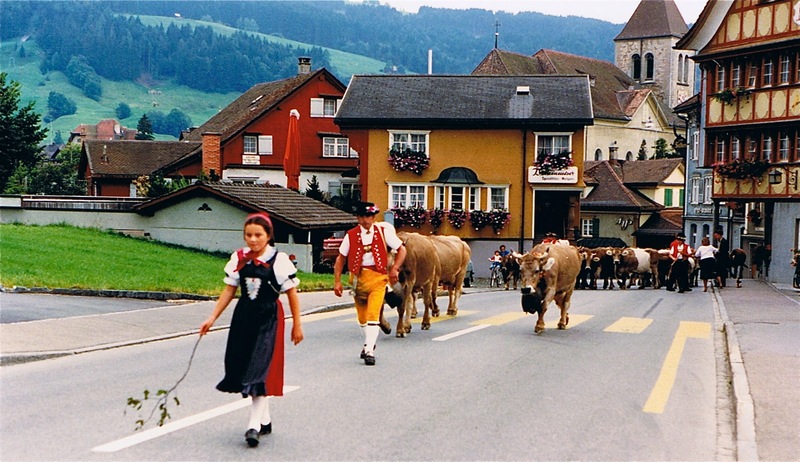 Visit to the Schaukäserei in Stein AR, / Cheese Factory AR, about 10 km from Appenzell, duration 1 hour. 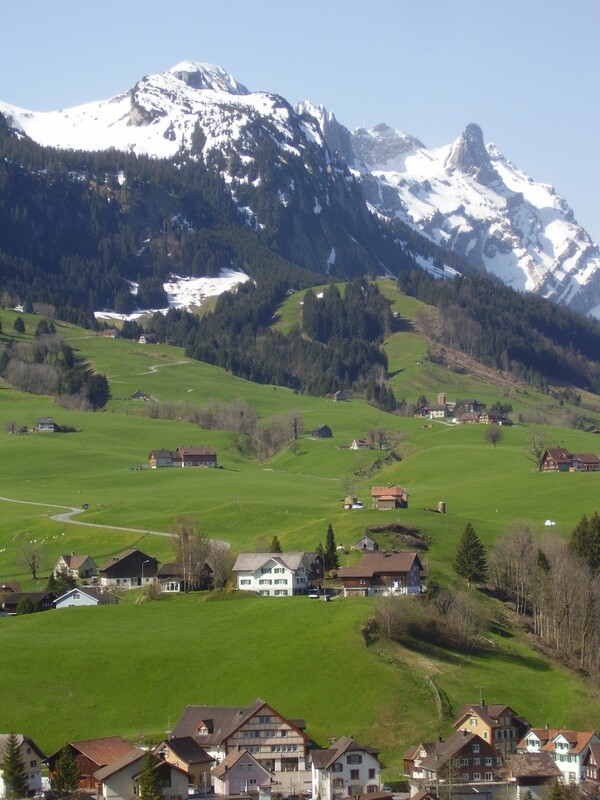 The Alpstein mountain range is a wonderful area for hiking. 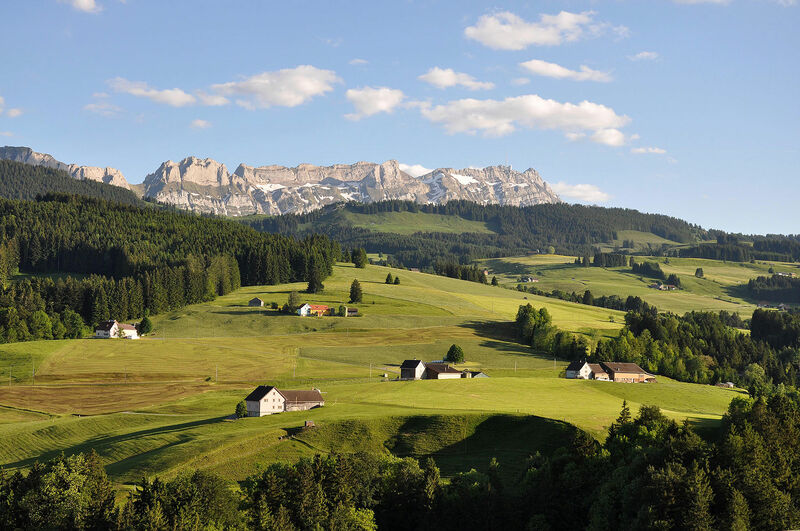 There are a large number of trails to choose from, ranging from a simple walk to a challenging mountain hike. 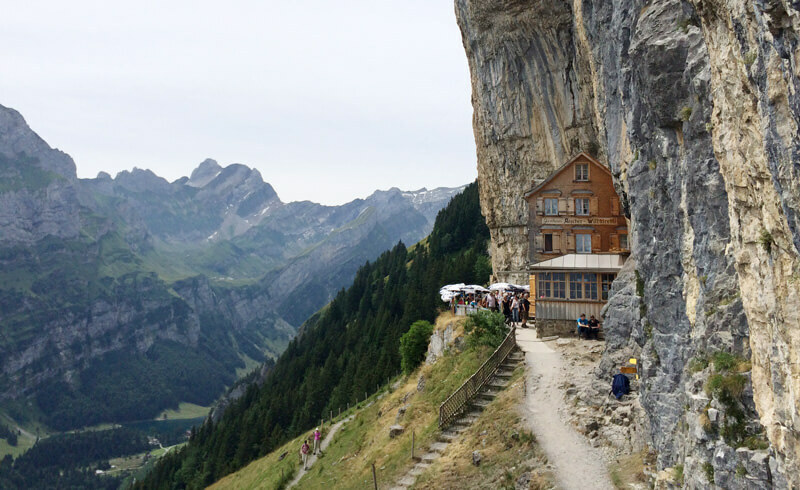 Moreover you won't have the bother of lugging heavy provisions with you, as surely one of the 27 mountain restaurants dotted along the way will amply meet your needs. If you decide to forgo the rigours of a long mountain hike, then perhaps the right way to travel is on one of the six cableways Luftseilbahnen currently in commission. 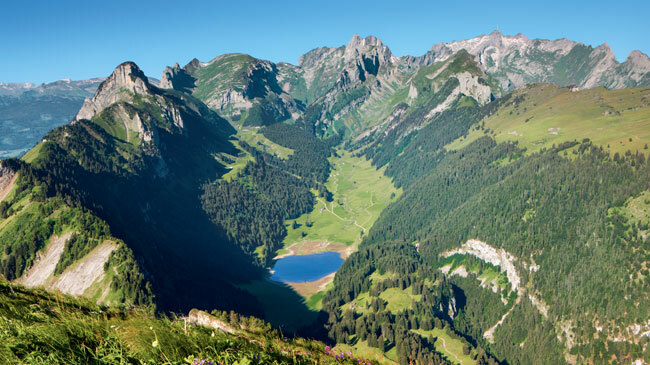 Valley walks are easy and pleasant in the gentle hilly landscape and there are different walking trail themes Themenwanderwege to choose from. Would you like to walk without your boots? Our barefoot trail Barfussweg was especially created for just that purpose. 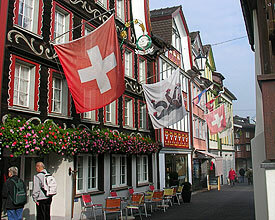 Further route suggestions are found at the following link: Weitere Routenvorschläge.